"All of our engines are overhauled to new fits and tolerances. For more than a decade, Nevada Aircraft Engine LLC has been the state’s premier provider of Lycoming and Continental aircraft engine maintenance. We are proud to offer the most comprehensive engine overhaul services in the region. Our shop can help you take to the skies! 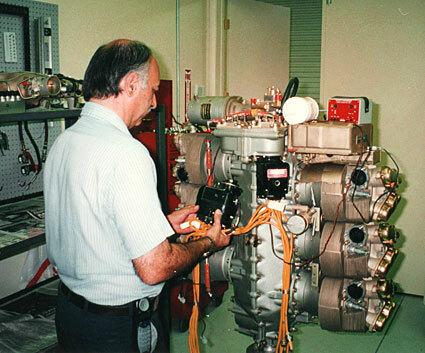 Our talented team of technicians has more than 45 years of experience in the aircraft engine industry. We are some of the most well-regarded mechanics specializing in the overhaul and repair of Lycoming aircraft engines in Nevada. Our full-service shop can help you make the most of your personal or commercial craft, and our strategic location between Henderson Executive Airport, Boulder City Municipal Airport and McCarran International Airport makes us one of the most convenient aircraft repair centers in the area. We understand the intricacies of flight, and Nevada Aircraft Engine LLC offers extensive and comprehensive services that you can rely on and fly on! We maintain and operate a full-service, in-house machine shop. Nevada Aircraft Engine LLC specializes in Lycoming and Continental aircraft engine overhauls and services. Our shop maintains an Airframe and Power Plant (A & P) license. Nevada Aircraft Engine LLC can perform detailed testing using our cutting-edge dynamometer. Is your aircraft’s engine in need of overhaul? Call Nevada Aircraft Engine LLC to start the process of making it as good as new.